The Volumetrics diet is a "commonsense" eating plan that aims to empower readers to quit on-and-off dieting for good by living a healthy lifestyle based on nutritious food and regular exercise. Developed by Dr. Barbara Rolls, the Volumetrics diet plan focuses on the energy density of foods. According to Dr. Rolls, awareness of the energy density of food (the number of calories in a specific amount of food) is the key to achieving healthy, long-term weight loss. Volumetrics relies on foods with a low-energy density and high water content, such as fruits and vegetables. Dr. Rolls believes that by eating low-calorie foods, you can eat as much as you'd like and eliminate the feelings of hunger, fatigue, and depression that often accompany other diets. This low-calorie, high-volume eating plan includes foods with a lot of water and fiber, since both supposedly increase your sense of fullness. Nothing is banned, and calorie-packed foods can be enjoyed as long as you stick within the recommended calorie intake. Dr. Rolls believes the trick to healthy weight loss is to fill up on low-calorie foods. 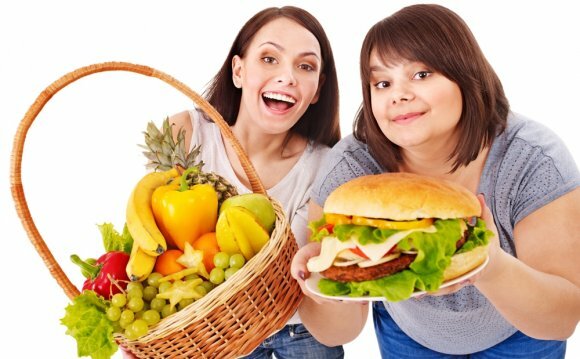 The Volumetrics diet will decrease your caloric intake, and encourage weight loss. The diet promises a one to two pound loss each week, and promises that you will maintain a steady weight loss for as long as you stick to the plan. The Volumetrics diet also promises that it won't drive you to give up and fall back on bad habits. Volumetrics is a well-researched and healthy approach to weight loss. It emphasizes a balanced diet of fruits, vegetables, and whole grains, allowing dieters to feel full on fewer calories, and to lose weight while eating satisfying portions of nutritious foods. Dr. Rolls provides simple recipes and offers guidance on how to stay within the recommended calorie-intake. The diet is flexible and easy to modify with different ingredients based on personal preferences. The diet also emphasizes exercise as a vital component to healthy weight loss. It expects readers to aim for 30-60 minutes of exercise a day. Dr. Rolls suggests keeping a record of what you're eating as well as any physical activity. Keeping a diary will help readers to follow their progress and identify any issues that need work. The Volumetrics diet plan does require a lot of home-cooked meals. Some people may be put off by the amount of time needed to cook, calculate energy densities of foods, and keep daily records. But for those that put in the time, Volumetrics could provide a healthy, long-term approach to weight loss. This is a positive approach to long-term weight loss that is nutritionally sound. Volumetrics provides a well-balanced guide to eating, and incorporates tips on exercise—which is equally as important for achieving a healthy weight and lifestyle. Readers are encouraged to evaluate their foods based on calories and nutritious value, using a commonsense approach as opposed to stringent rules as a guide to what's considered healthy and what's not. Dr. Rolls emphasizes the importance of a varied, nutritious diet and suggests logging a food diary in order to follow your progress and identify any issues. We like this diet. It's balanced, nutritious, and offers the flexibility needed for successful long-term health. We're sorry to hear that. How can we improve it?